Enable Variable Refresh to remove 60 FPS cap. A character mentions the color of certain gates to progress. See Engine:FNA for OS X and Linux configuration details. Linux only. See DualShock 4 light bar support. 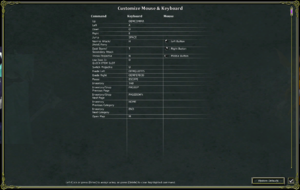 DualShock only on OS X and Linux, Windows through unsupported FNA beta branch. Can be forced on by setting the environment variable DUST_FORCE_PS4=1. 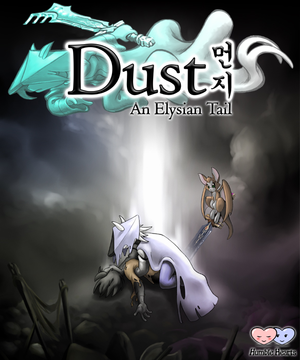 Dust: AET for Linux supports the DualShock 4 light bar. The light bar will change to Dust's color and will change colors when using the Dust Storm as well as when leveling up. To access this feature, refer to the FNA user documentation. Fan translation by ZoG Forum Team. Language choice is not offered in game, instead it's automatically chosen based on the system language. To force using a certain language, remove the language folder from the installation folder. Alternatively on Windows, use the following patch. 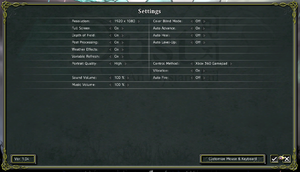 No voice audio during introduction, caused by codec or Windows Media Player issue. Right-click the program's icon and choose Properties. In the Properties dialog box, click the Compatibility tab and then check the Run program in compatibility mode for box and choose Windows XP (SP3). If the game process ends right away but compatibility mode doesn't fix it, reinstall Microsoft XNA Framework Redistributable 4.0 Refresh from Microsoft (bundled one is corrupted). This page was last edited on 11 April 2019, at 22:38.